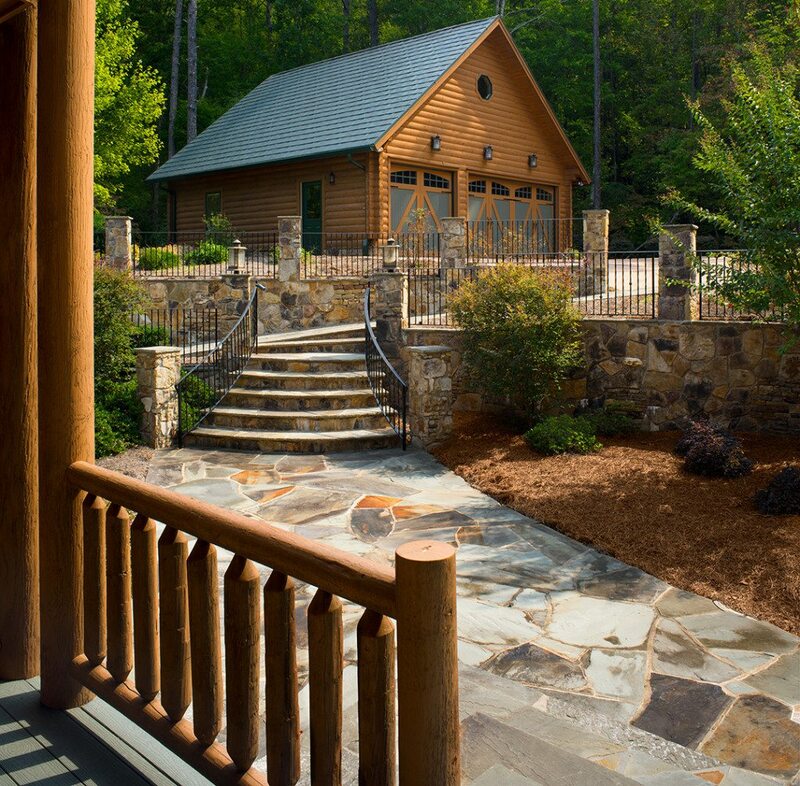 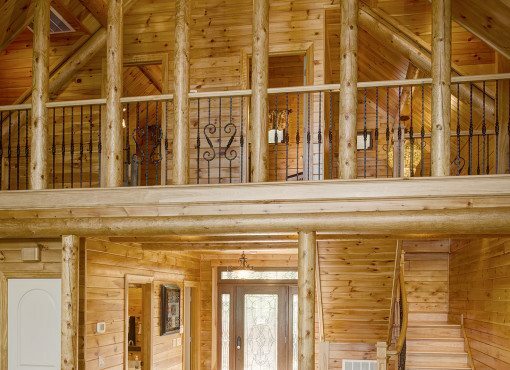 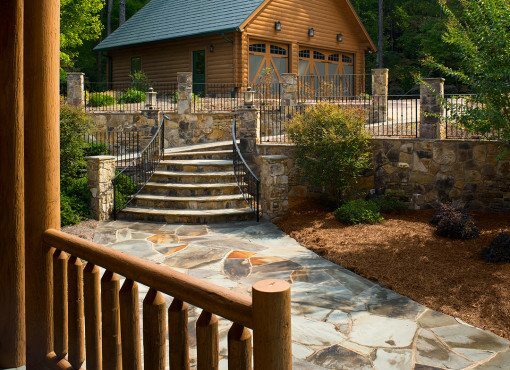 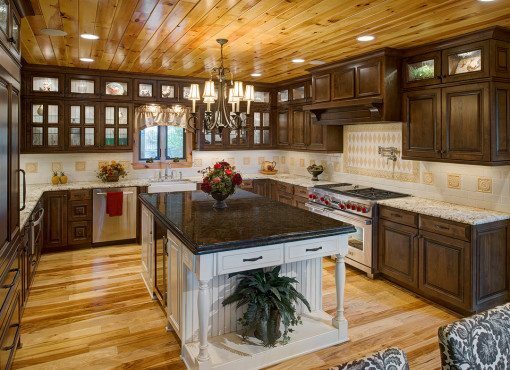 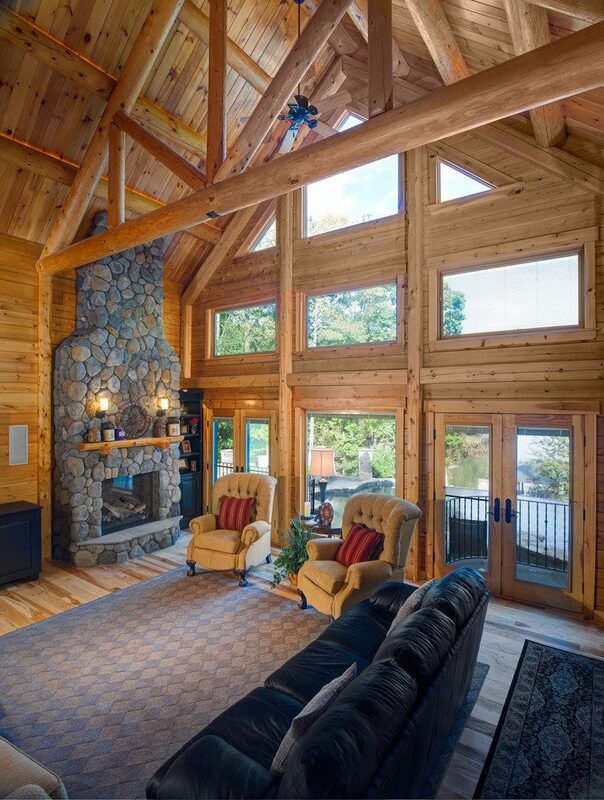 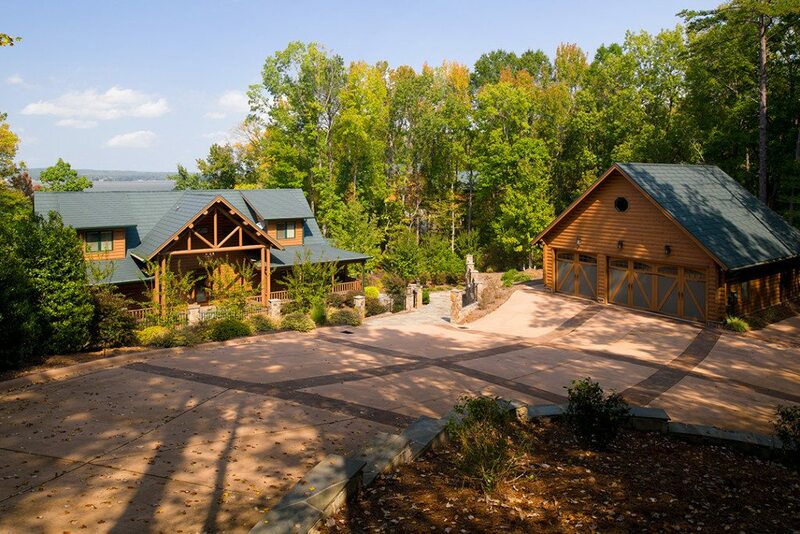 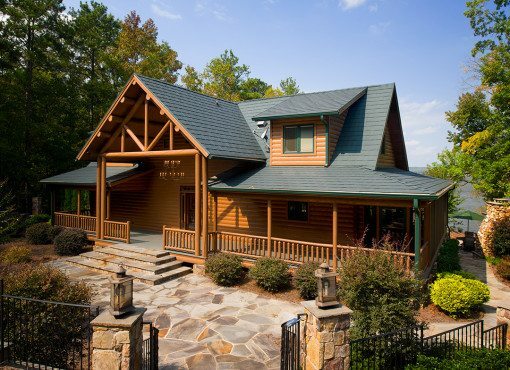 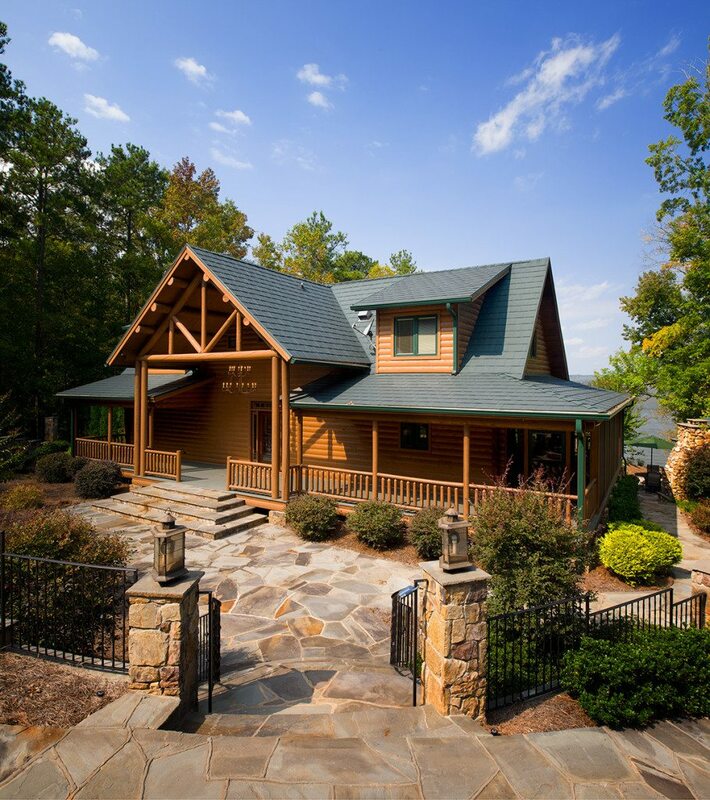 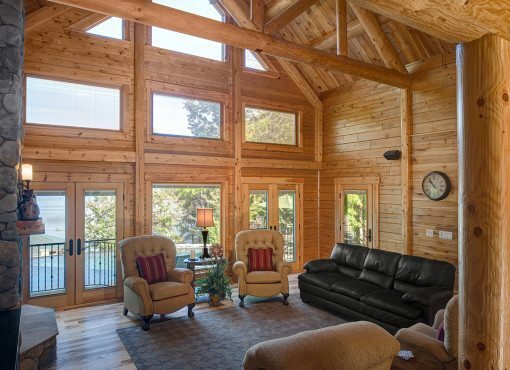 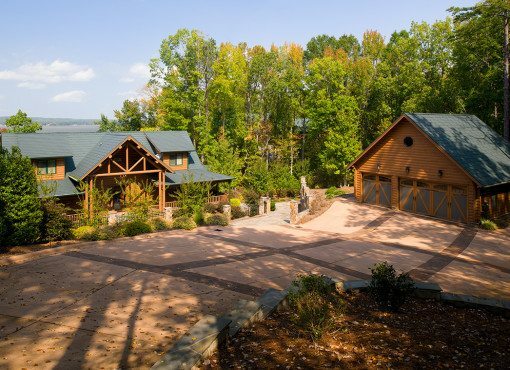 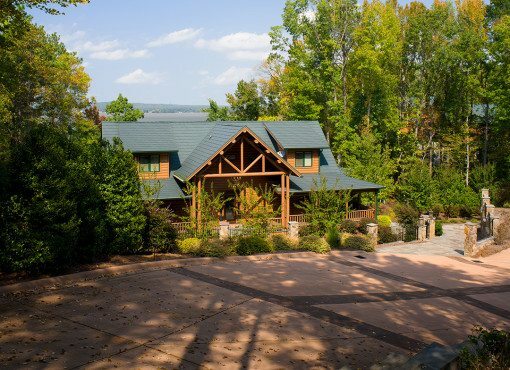 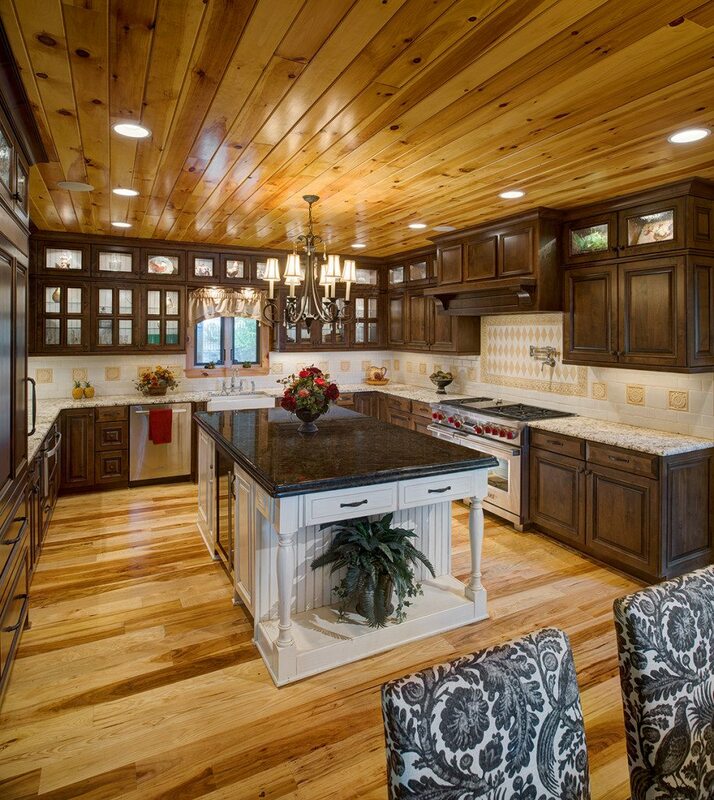 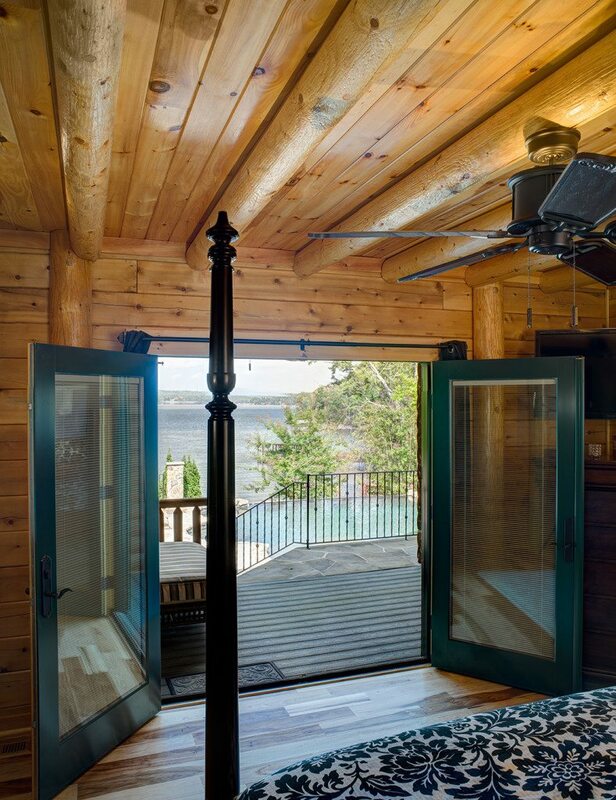 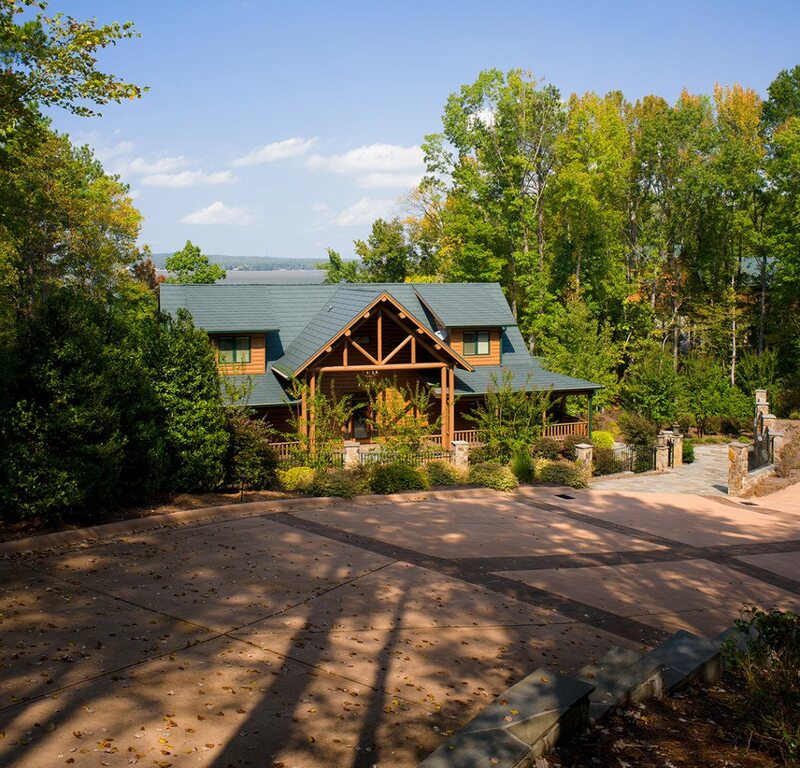 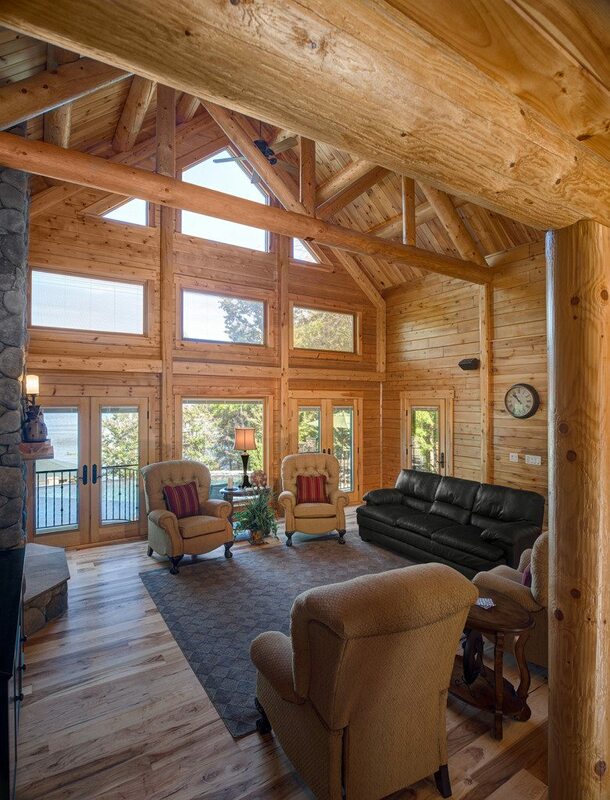 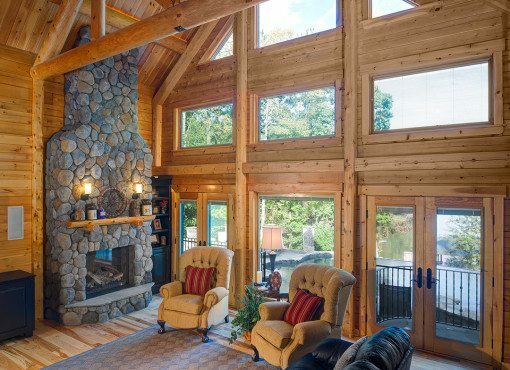 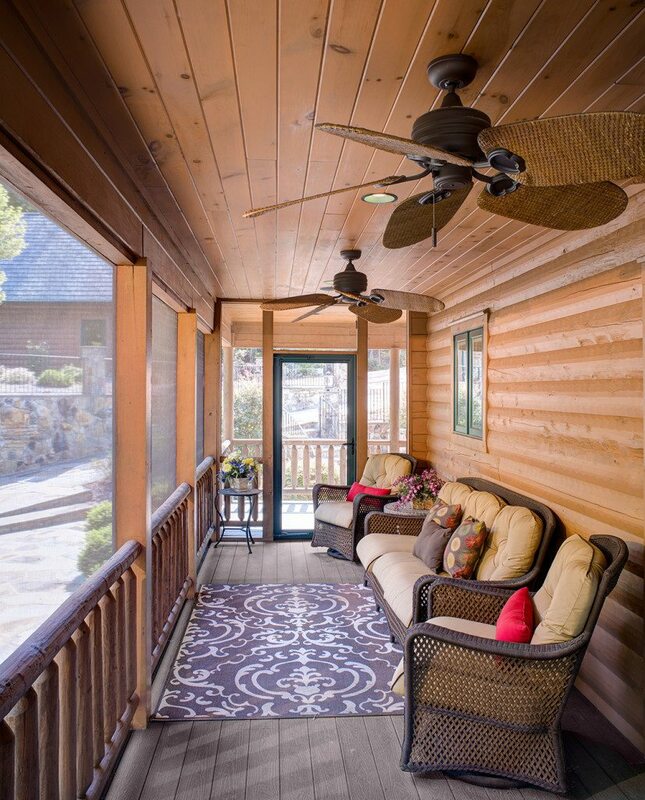 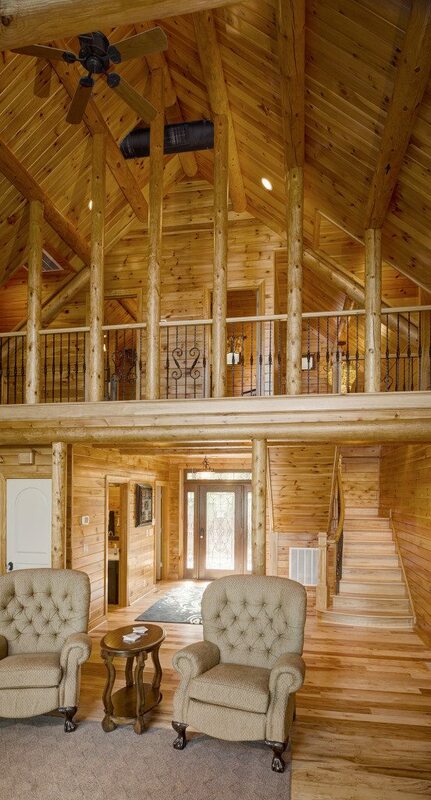 The Bennett home is a beautiful manifestation of Katahdin cedar log home kit 08892. 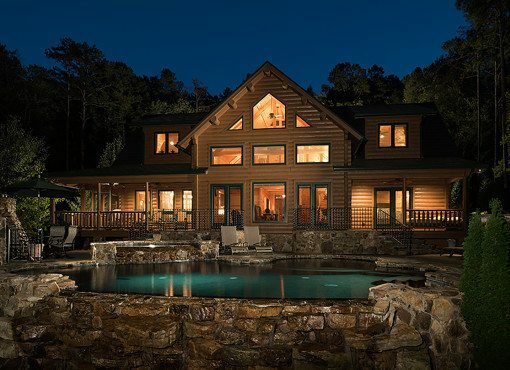 Located in South Carolina, the design for the 08892 plan was based on a scaled-down version of the Bonanza model. 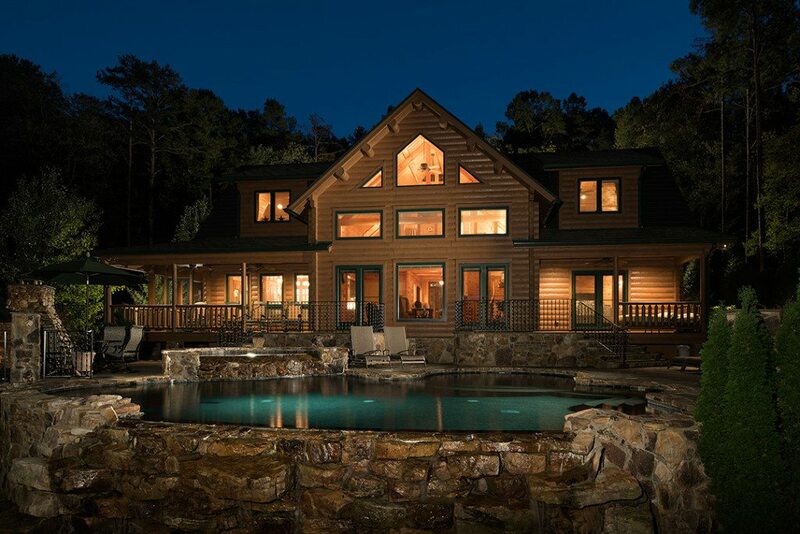 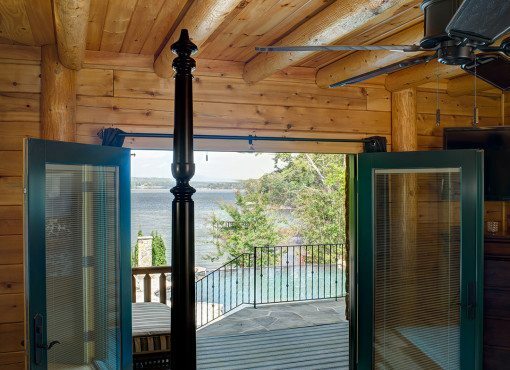 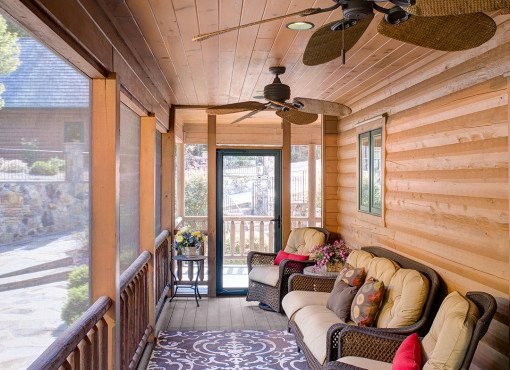 This gorgeous home has three bedrooms, three and a half bathrooms, a three-sided wraparound porch, and a multitude of windows to look out over the pool, hot tub, and lake.